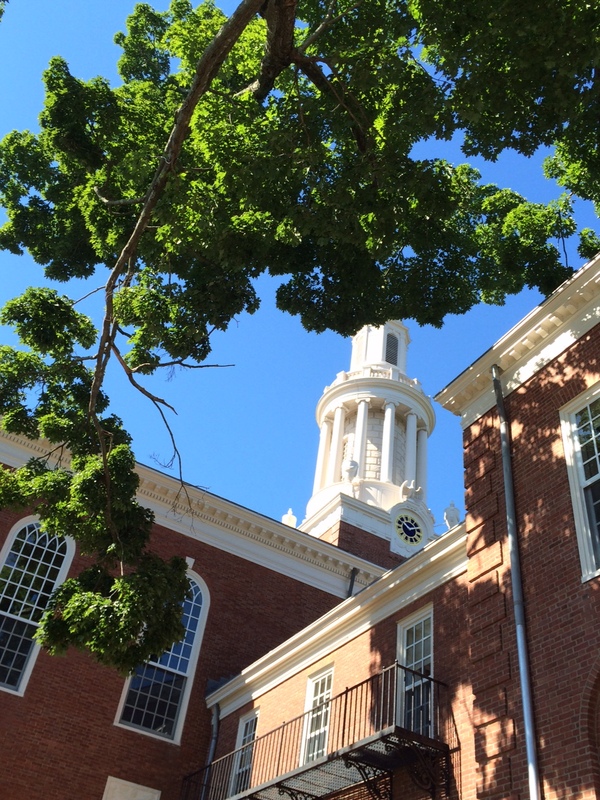 Tomorrow morning, a beautiful old tree that stands right outside the window of Marquand Chapel is going to be felled. 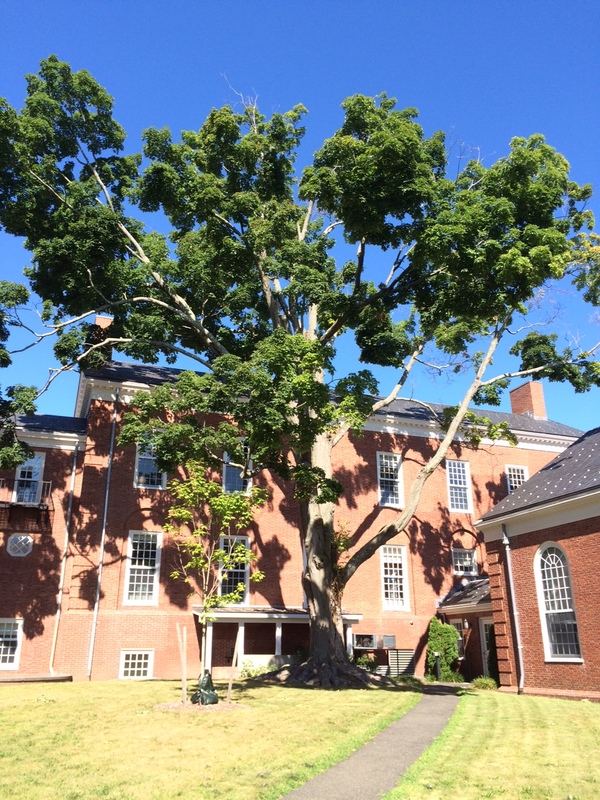 It is a sugar maple tree, and has delighted generations of people at Yale Divinity School. It survived when we lost other trees in recent storms – Hurricane Irene, Hurricane Sandy, and Nemo, the winter storm of 2012. But it is an old tree with a number of problems, and despite propping it up with various supports, we’ve known for some time that it couldn’t last forever. Some time ago a new tree was planted close by to grow up in its place. Nevertheless, the tree is such a beloved feature of our landscape that it feels a bit like like losing an old friend. 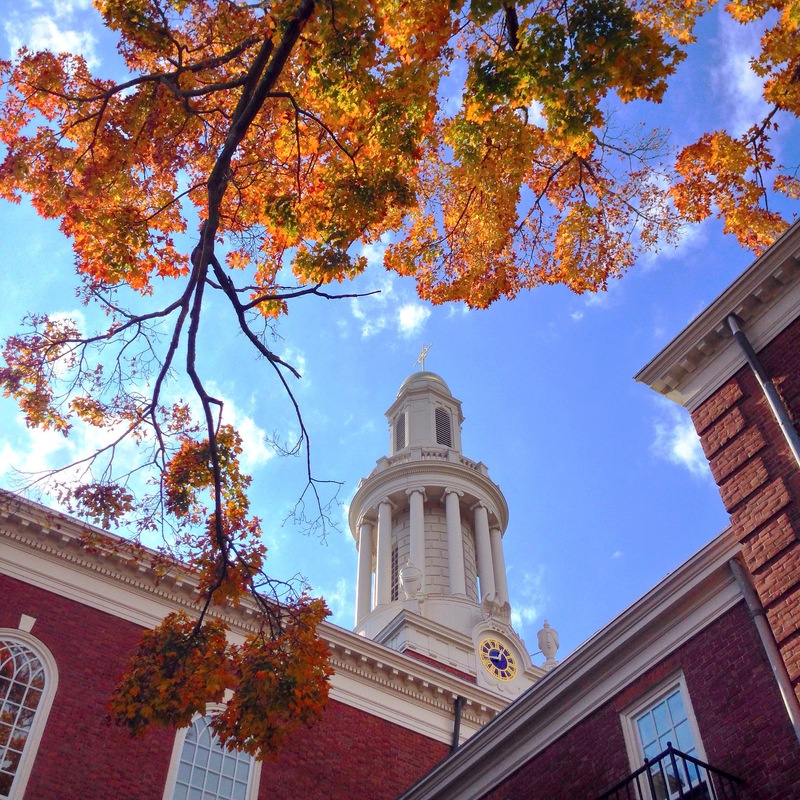 When I first came to Yale, nearly four years ago, I was stunned by the beautiful view of the tree from inside Marquand Chapel. 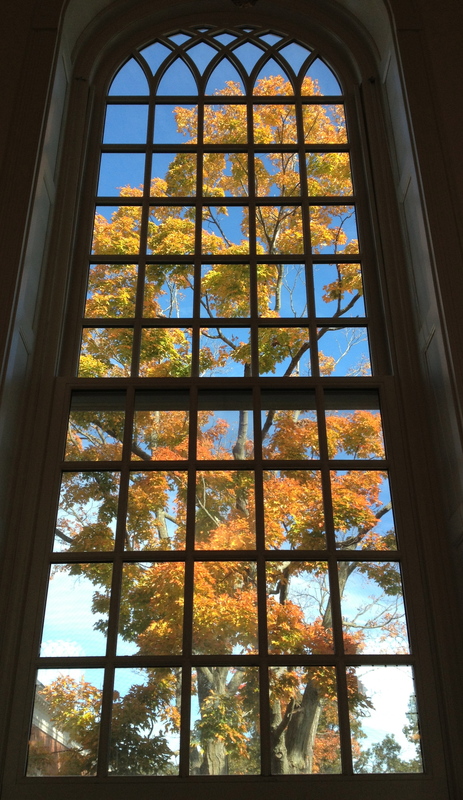 “Just wait until the Fall,” someone said to me, “we don’t need stained glass windows here, the tree does it all for us.” Sure enough, watching the sugar maple tree go through the colors of the seasons has been an inspiration as we have set up for worship every day. There’s a great story about Henri Nouwen and the sugar maple tree. Nouwen is, of course, known the world over for his marvellous books, and his theology that is as deep as it is beautifully written. But at Yale Divinity School, where he taught from 1971-1981, he was loved for the way he built personal friendships throughout the community, breaking down the customary barriers between faculty and students on the basis that he did not believe it was possible to teach students anything valuable about theology withou t allowing them to get to know their teachers as human beings. I’m told he used to hold an “open house” at his apartment every Friday night, the rule of the house being that people not talk about work, but actually get to know each other. But apparently he also spent many hours out in the gardens, chatting with students about their lives, their futures, and their burgeoning ministries – and his favorite place to sit was in the great roots of the sugar maple tree. Photo credits (from top): Campbell (Brock) Harmon, Maggi Dawn, Unknown, Michael Morand, Campbell (Brock) Harmon. Lovely essay! It wanders like a fresh spring, always drawing on the source, your deep love for Nouen, which echoes the love that holds Creation together and moves it on. The mention of the roots at the end of the piece revisit a Yeatsian trope with fresh transformational energy! A beautiful reflection. At times I think all our lives are like that of a tree under whose shade we nourish the one’s we love. Where one story of life ends and another begins who can tell intertwined in the canopy that is “humanity”. Once my late father wrote, “A story is a tree that grows in the soil of the heart”. You remind us all of the deep roots from which our faith springs, and that unless we die, we cannot be reborn – thank you for sharing such a beautiful reflection – you have brightened an overcast day.